The long waited San Bernabe festival is here! 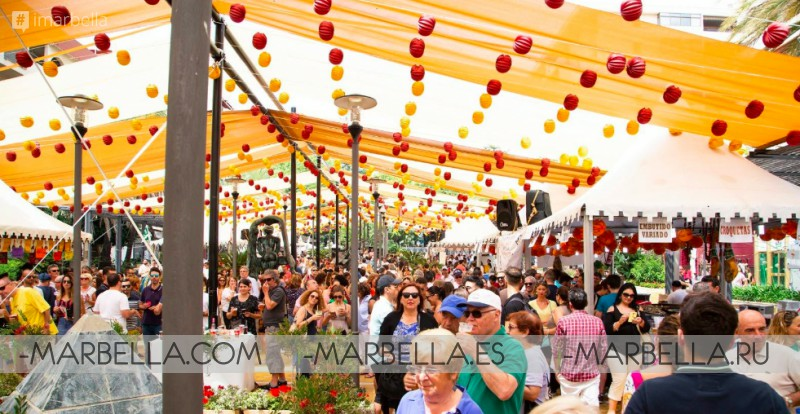 Every year at the beginning of June, Marbella pays homage to its patron saint 'San Bernabe' (Saint Bernard) with a weeklong fair. 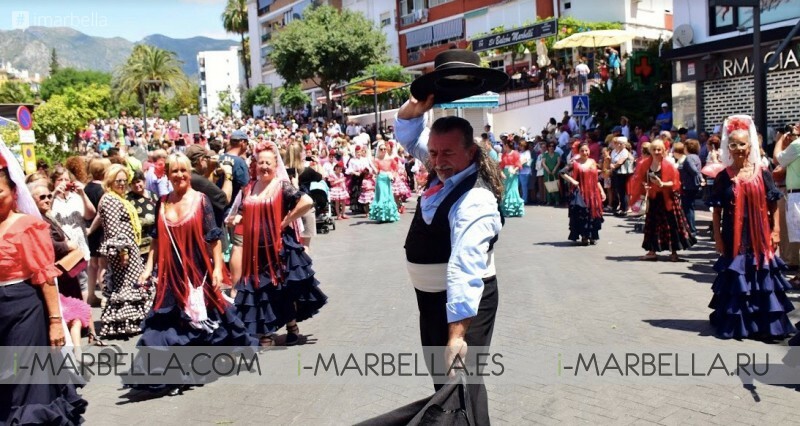 The Marbella festival it's celebrated from June 5th to June 11th and it includes all the traditional elements of an Andalusian fair: food, drink, dancing, entertainment and of course, the trademark “casetas” that are set up just for the fair. 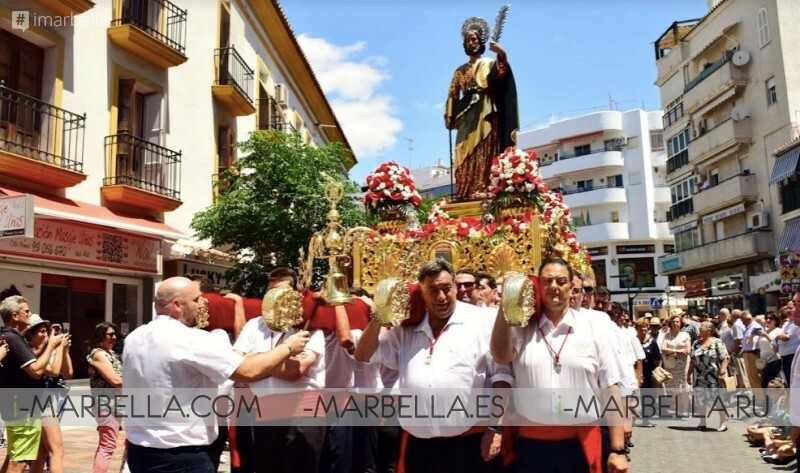 Every year in the month of June, Marbella prepares to celebrate Semana Grande in honor of its patron, St. Bernabe. Residents and visitors gather to enjoy a few days of fun at the Fair. 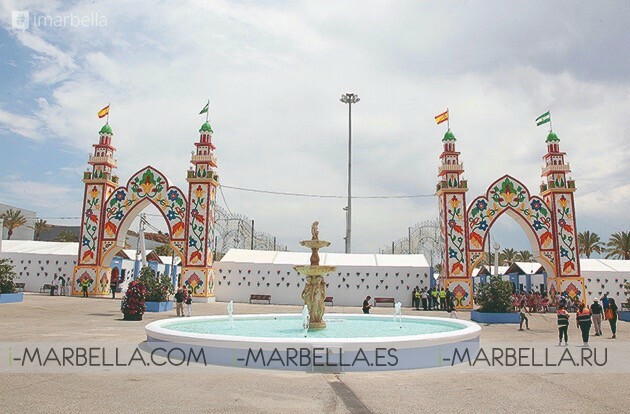 The emblematic Marbella Fair in honor of the patron saint 'San Bernabé'' includes: Musical performances, 'casetas' (booths), 'cacharros' (pottery), flamenco, children's shows and fireworks form part of one of the most colorful festivals in Andalusia. The program also includes parades of giants and big heads, equestrian shows and other cultural activities. Day Fair: It runs from its beginnings in the ‘Casco Antiguo’ (Old Town) and the Parque de La Alameda. Night Fair: that takes place in Arroyo Primero. That way, the fairs take place during the day in the center of Marbella, continuing at night in the Fairground until late in the morning. Only fun and joy are expected to experience in one of the most traditional festivities of the Costa del Sol. As preceded from years before, The fair itself received an official inauguration a Sunday before the second week Monday when all the action really starts. On Monday night everyone headed to the emblematic 'El Fuerte Hotel (one of the oldest in town) to see the fireworks. A week before at the Congress Palace 'Adolfo Suárez'. A traditional contest was prepared to choose the Queens and the Ladies of the San Bernabé Festival with the youngest ones. 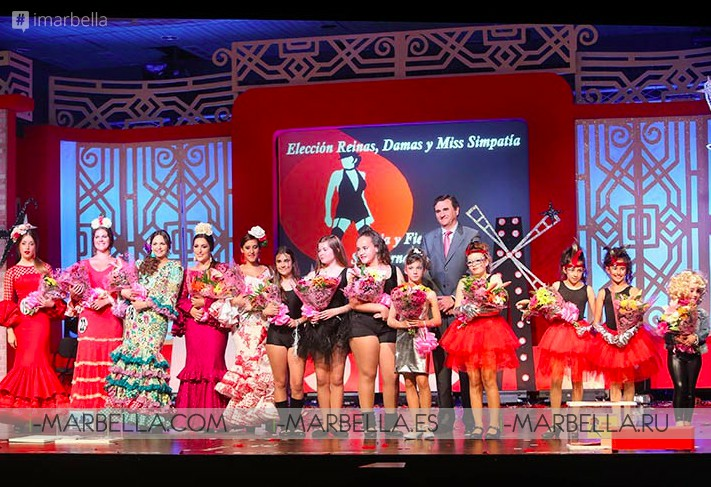 In this edition, the grand winner was Laura Hernández Tejero, who will be the Junior Queen and will be accompanied by Karen Cuenca Velasco, Mercedes Calderón Carrillo, Amina Karima Boukhalfa and Paula Vázquez Alba as ladies. After the inaugural fireworks show in the runup to the Marbella Fair. A contest was held to choose the King and Queen of the festivities. The competition took place at one of the town’s many well-equipped hotels 'El Fuerte Hotel' and the official queen was given to Concha Montes who will be this year in charge of announcing the Fair and Festivities of San Bernabé. 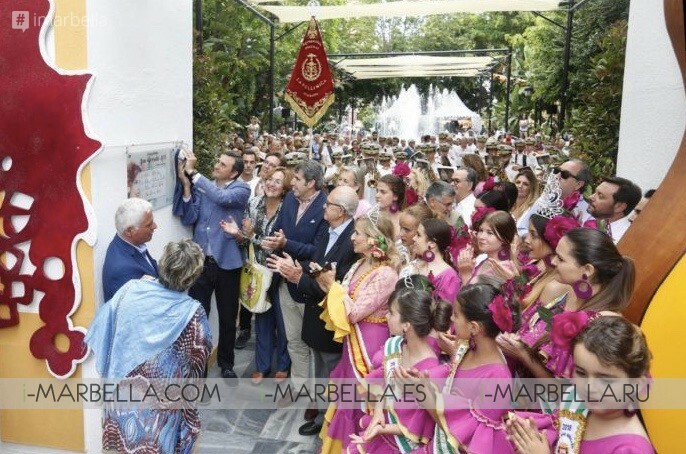 Next day June 6th at 13.00 hrs the "Day Fair" was inaugurated in the Arch located in the Parque de la Alameda, next to the Virgen del Rocío Fountain to honour those people who propelled the Day Fair in 1987, Mrs. Antonia Mata, Mr. Antonio Montañez Zurita, Mr. Antonio Alcalá and D. José Becerra. While enjoying all the dancing you might feel hungry and thirsty and so as part of the fair you better be checking the food at the many traditional Andalusian and Mediterranean cuisine ''Casetas'' where all people proudly wear Gitana dresses while enjoying the vast menus of Spanish foods: Spanish omelette, fried fish and churros with hot chocolate. San Bernabe fair takes place as mentioned before one week, this year from 05 - 12 June 2018. 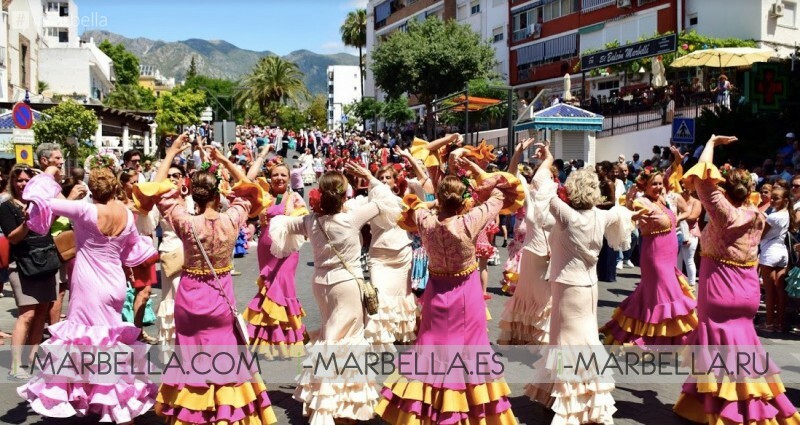 "These festivities commemorate the reconquest of Marbella by the Catholic Kings in 1485. This week both tourists and citizens enjoy all the charm of traditional and colorful Andalusian festivals." Experience the most authentic fair events and get in on the concerts, dance performances, parades and so many other activities that will be taking place throughout the week. 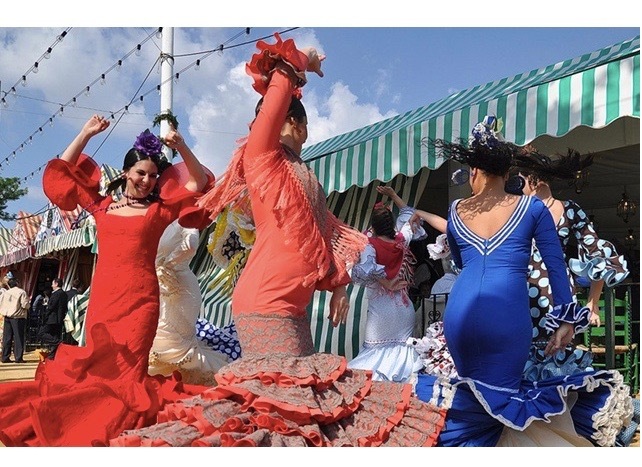 To really experience the Marbella Fair in style you might like to dress in authentic flamenco fashion. Don't forget to wear this outfit with your hair slicked back, strategically placed flowers, large plastic earrings, necklaces, and bracelets, artfully applied makeup – and don’t forget the flamenco shoes – and you’ll be ready to sing and dance with the rest of them! This year the fair will feature the performance of groups such as 'Demarco Flamenco', 'La década prodigiosa' , 'Antonio José', 'Siniestro total', 'No me pises que llevo chanclas' and, as a novelty this year, the group 'Siempre así' will offer a concert on Monday, June 11, in a stage that will be installed on 'Ramón y Cajal' avenue at the Paseo de la Alameda. June 11th was official Day of San Bernabé, the fair begun at 10.00 am with the civic-religious procession to the 'Cruz de Humilladero', where the traditional prize awards will take place, followed by a mass in the 'Encarnación' church, to finally close the day with a fraternity procession in name of the Patron Saint through the streets of the center. With a great general procession of the whole City, starting from the church "tocante" and with alternate destiny between the monasteries of San Francisco and Nuestra Señora de Valcuerna. The Procurator Major, acting as a representative of all the people of Logroño, carries the flag of the City. Next, Mass is celebrated in the church of the turn, to give thanks and pray for the deceased defenders of the City. After eating, three or four bulls have to be run, of which only one or two will be killed and the others will be saved for San Juan. The Attorney General will offer a snack or snack, at the expense of fines, to the "principals" who attend the race.